You are as good a student as anyone else. It does not matter, ultimately, that you are struggling with a disability. Whether you deal with physical or mental limitations, you can still be a good student. When passing the Individuals with Disabilities Education Act, or IDEA, Congress said that “Disability is a natural part of the human experience and in no way diminishes the right of individuals to participate in or contribute to society.” So don’t be tempted to discouragement. You can do this! Accommodations exist (by law!). Help comes in many forms for students with disabilities. By law, every college or university that receives federal funding must provide accommodations to disabled students, in accord with the Americans With Disabilities Acts of 1990 and 2008, and every institution must have a person in charge of handling these accommodations. This person may be called the Section 504 Coordinator, ADA Coordinator, Disability Services Coordinator, or another title, like Greathouse’s. Greathouse says that the accommodations that she provides, “include testing accommodations (extended time, reader, scribe), classroom accommodations (note-taking assistance, ASL interpreting, preferential seating), housing accommodations (ADA room, dorm with elevator, air conditioning, parking needs), and dietary accommodations (specific dietary needs, meal plan changes).” Greathouse and other coordinators also “work with individual faculty and with university offices to make sure that these accommodations are provided and federal regulations are abided by.” Whatever your need is, there are accommodations available to fill it. Accommodations will never be put into your transcripts. Greathouse says that this is one of the most common objections that ADA compliance officers hear. Nobody wants to have his or her accommodations put into his or her permanent public record. But she stresses that this fear is unfounded. None of your accommodations will ever be put into your transcripts, and accommodations will never be seen by future employers. Your privacy is assured when you apply for accommodations. Discrimination is illegal. If you have a documented disability and your publicly-funded college or university refuses to grant accommodations, the institution is committing a crime and can be reported. The institution can also be reported if members of it are harassing or bullying disabled students or encouraging others to do so. If the institution is preventing a disabled student from attending classes purely on the grounds of disability, this is also a crime. If the institution is harassing a disabled parent, teacher, or worker in this way, it is also illegal, and should be reported. The Office of Civil Rights, a department in the United States Department of Education, takes all allegations of discrimination seriously. If you are in this situation, you are able to report it either directly to your university’s ADA compliance officer or on the OCR’s website. Get documentation. Nobody should have to prove that he or she has a legitimate disability, but it is important to have documentation before accommodations are given. Documentation helps the ADA compliance officer to determine what accommodations are appropriate. Something as simple as a letter from your primary care physician will do; though more in-depth documentations will not be refused. It is important for the officer to see how your disability affects your day-to-day life and how it could affect your schooling. 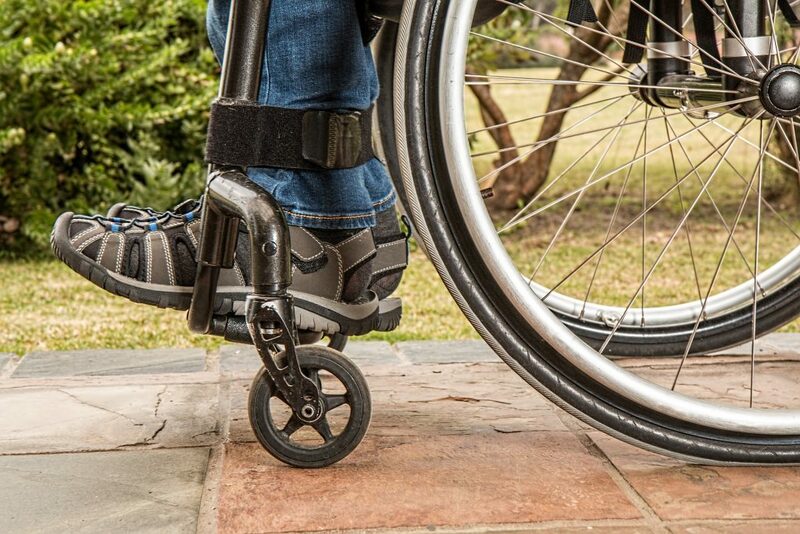 No student with a documented disability can be turned away or denied appropriate and reasonable accommodations, nor can students be charged a fee for their accommodations. Be creative and find workarounds when accommodations do not help. Unfortunately, one cannot get accommodations for every aspect of life. A student with ADHD may have a right to a distraction-free testing area, but in his or her own dorm room, can still be distracted while studying. A student with mobility issues may be able to get preferential seating in class, but can still struggle with managing a wheelchair on carpeted floors. When these situations happen, it is important not to be discouraged and to find creative solutions. Ask friends, sorority sisters or fraternity brothers, roommates, or teachers for help. They could help you to find or create a distraction-free workspace, or to brainstorm study techniques that are less distracting. They could help find easier ways to get to class, or even push a wheelchair through a particularly difficult area. There is no shame in getting help from the people who care about you. It’s OK to not be “normal.” Ultimately, there is no “normal” in life. Everyone comes at life from a different perspective, with different strengths and weaknesses. One person’s cookie-cutter college experience does not mean that a student with a different experience did not really experience college. What is important is that you do the best you can with what you’ve got, working hard and fighting hard for your right to an education. We deserve better. Only around 31 percent of non-institutionalized individuals with disabilities have attained a college degree, whether bachelor’s or associate, according to a nationwide survey by Cornell University. This number includes 31 percent of all individuals with an ambulatory disability, 30 percent of individuals with a visual disability, 32 percent of individuals with a hearing disability, and 29 percent of people with a cognitive disability. A lack of an education is correlated with unemployment and poverty, which, in turn, can mean lack of access to medical care and personal safety, as well as decreased access to education for one’s children. It is important that people with disabilities receive an education, for their own good and the good of their families. We deserve better than poverty, discrimination, and fear. We deserve an education.